Still testing the recipes that came with my new crock pot. Did I mention I got a new crock pot? I got Fagor 3-1 cooker. It is a rice cooker, slow cooker, and pressure cooker. I have not braved the pressure cooker yet. 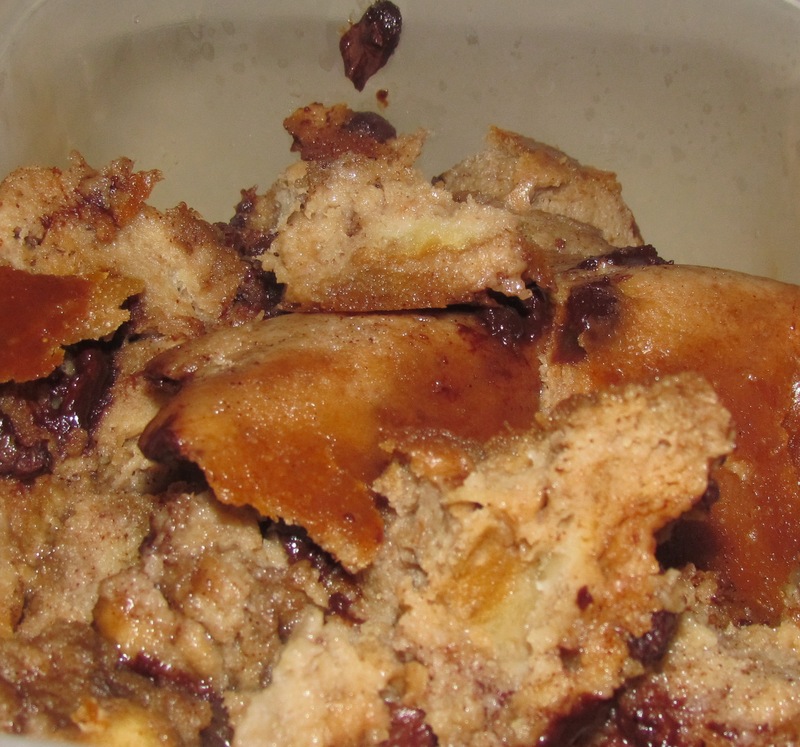 I tried the Chocolate Bread Pudding recipe that came with the booklet. It turned out great and would work in any slow cooker and it was delicious and made for a good breakfast the next day. I got a Himalayan salt block for my birthday so I decided to break it in on the person who gave it me by cooking their birthday dinner on the salt block. This is not one of those things you can do on the spur of the moment. The block has to be heated up slowly starting at low heat and gradually increasing heat until it is hot enough to cook on – this took about 40 minutes for me. Once the block was hot it was just like cooking on anything else. 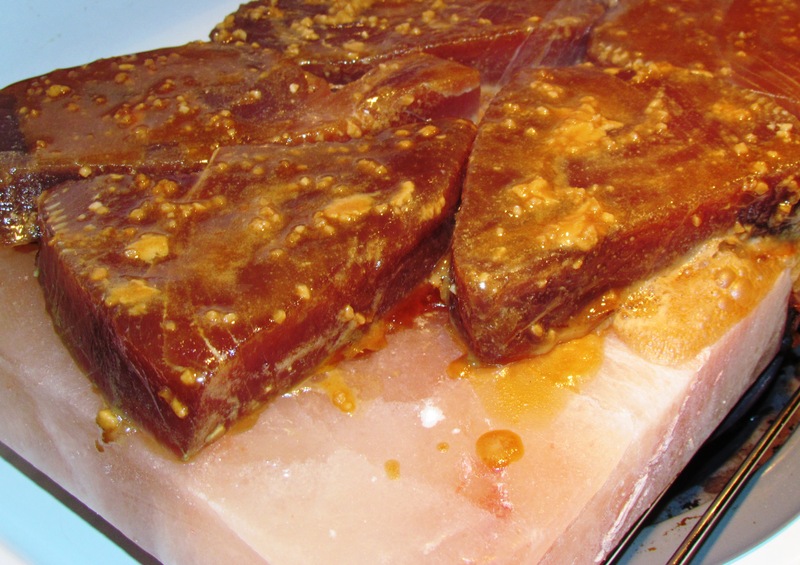 I marinated the tuna in honey, soy sauce, garlic and dijon mustard. Then I seared the tuna for about 4 minutes a side. The tuna tasted lightly salty, a nice accompaniment to the meatiness of the steaks. Everyone was satisfied with the taste of the fish. I would do a couple of things differently next time, mainly adding a layer of aluminum foil under the stone. As you can see from the picture, the juices are just dripping off the side of the block. It made a pretty big mess on my stove, but I didn’t care – it was yummy!